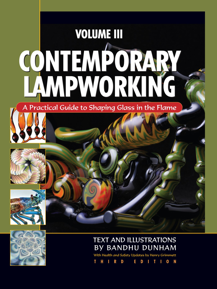 Bandhu Dunham’s ground-breaking and inspiring books can be ordered directly or found at your local bookstore, your favorite glass equipment supplier, or sites like Amazon.com. However, free autographing by the author is only available here. Clicking here to purchase from a secure ordering page. Click on the covers or titles below to see more information about each book.